Takata has reached a settlement with its creditors, auto industry clients, and representatives for drivers who were injured or killed by its faulty airbags. The settlement could pave the way for Takata -- whose airbags have been linked to the deaths of at least 21 people -- to end its Chapter 11 bankruptcy and sell its viable operations to a Chinese-owned rival, according to court papers filed on Saturday. After it was found that the airbags can rupture with too much force, sending bits of metal flying through the vehicle cabin, Takata found itself at the center of what the NHTSA has called "the largest and most complex safety recall in U.S. history." The massive recall forced the company’s United States unit, TK Holdings, into bankruptcy. 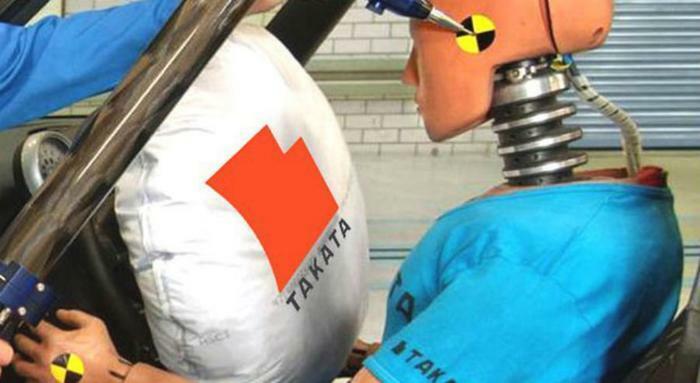 The Japanese company settled with the two main groups representing victims of its faulty air bags. The deal includes establishing a trust to pay out claims to injured victims or the families of those who were killed by a Takata airbag. Compensation will range from $10,000 for minor injuries to $5 million for severe injuries (including blindness) or death, Reuters reports. The 13 automakers that have joined the agreement include General Motors, Ford Motor, Toyota Motor, and the United States affiliates of Honda Motor, and Volkswagen AG. Central to Takata’s restructuring plan is the sale of its remaining assets. Key Safety Systems plans to pay $1.6 billion to acquire the company’s remaining U.S. operations. Cars with the company’s defective inflators have been on the market for more than a decade. As of December, more than half of the nearly 42 million airbag inflators identified as defective had still not been replaced.